There are videos that purportedly show missiles malfunctioning. A barrage of missiles fired by Yemen’s Houthi rebels fell on targets in Saudi Arabia late Sunday evening, killing one person in Riyadh and wounding two, according to Saudi Press Agency, the state-run news agency. This week marked the third anniversary of the Saudi kingdom’s participation in the war in Yemen. 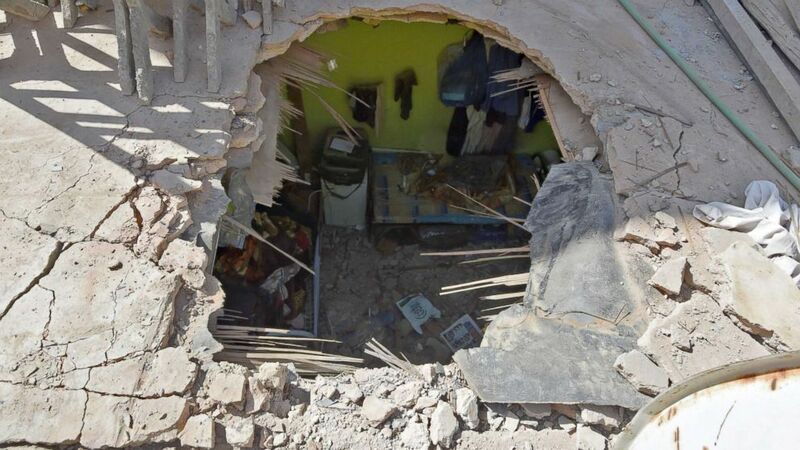 The casualties were the first in Saudi Arabia’s capital since the Saudi-led war in Yemen began in March 2015, although others have died from missile strikes in the kingdom. Houthi commanders say they launched the missile attack aimed at Riyadh’s King Khalid International Airport, among other sites, striking deep inside Saudi territory. The conflict in Yemen has demolished the nation’s infrastructure, medical facilities and water treatment centers, leaving the country on the verge of man-made famine. (Faisal Al Nasser/Reuters) People check the damage after debris from ballistic missiles fired by Yemen's Houthi militia fell onto a house in Riyadh, Saudi Arabia, March 26, 2018. The Saudi military said it intercepted seven ballistic missiles fired by the Houthis at the kingdom, three of them targeting Riyadh and two targeting the southern city of Jizan. Two missiles targeted other cities. Iran’s role in the conflict will likely come under renewed scrutiny, as a Houthi-run satellite news channel identified some of the missiles fired as the Burkan, or Volcano, missile. The Burkan is a type the United Nations and Western authorities say resembles Qiam ballistic missiles manufactured by Tehran. Saudi-owned satellite news media aired footage claiming to show structural damage in Riyadh as a result of the strikes and Patriot anti-missile batteries firing at the incoming rockets. As with nearly every previous missile launched by Yemen’s Shiite Houthi rebels, Saudi officials said all seven fired were intercepted, but online videos raise new questions about those claims. 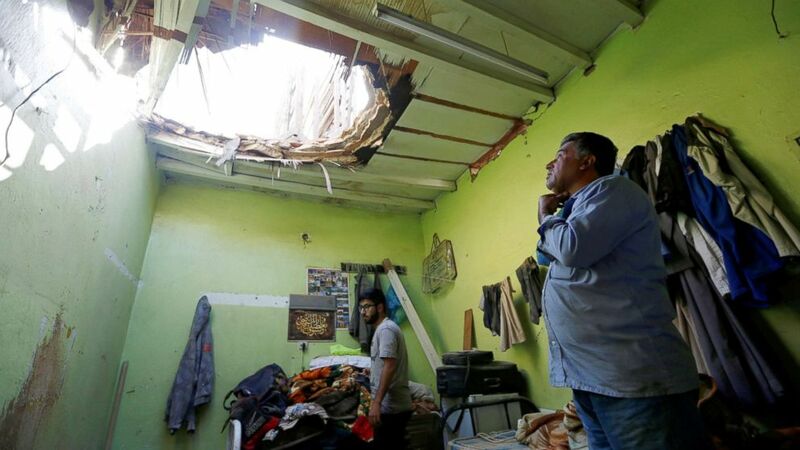 (Fayez Nureldine/AFP/Getty Images) In the Um Al-Hammam district in Riyadh shows the pierced ceiling of a home hit by falling shrapnel from Yemeni rebel missiles that were intercepted over the Saudi capital, March 26, 2018. One video appears to show a Patriot missile launch on Sunday night go wrong, with the missile changing course midair, crashing into a neighborhood in Riyadh and exploding. Another appears to detonate shortly after being launched in the Saudi capital. Col. Stephen Ganyard, a retired U.S. Marine Corps officer and ABC News contributor, said he would not be surprised if some of the Patriot missiles failed to hit their targets due to the system’s technical limitations. Ganyard said that if the videos of Patriot missiles malfunctioning are authentic, it demonstrates the uncertainty the United States faces with similar anti-missile systems it has deployed in places like eastern Europe to protect against missiles from Iran. 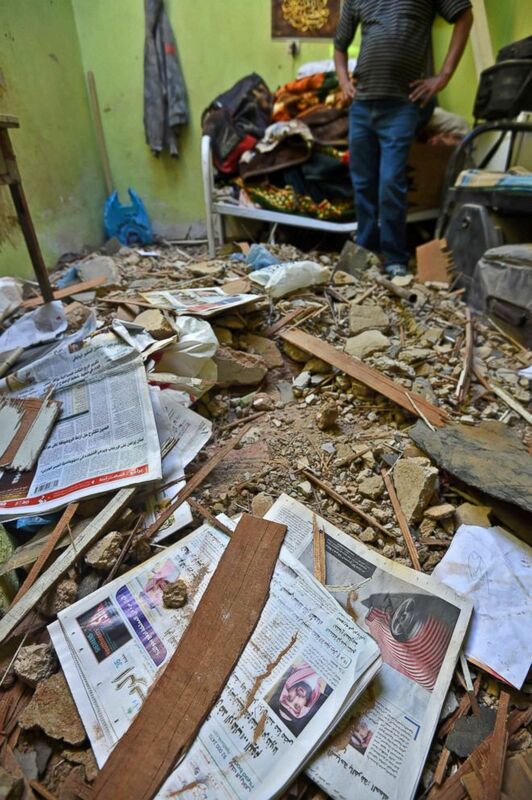 (Fayez Nureldine/AFP/Getty Images) A picture taken March 26, 2018 in Um Al-Hammam district in Riyadh shows rubble, debris, and old newspapers scattered over a home hit by falling shrapnel from Yemeni rebel missiles that were intercepted over the Saudi capital. “Missile defense is really, really hard science, and we don’t really know much besides single missile attacks,” Ganyard said. Meanwhile, the U.S. provides logistical support and weaponry to the Saudi-led coalition, which has been criticized for killing civilians in Yemen with airstrikes as well as blocking Yemeni ports, bringing the country to the edge of famine. It wasn’t immediately clear how the coalition would react to Sunday’s attack. Houthi leaders warned Saudi Arabia against further airstrikes.